This post has been sponsored by Philips Sonicare™ and I have received free product to review. All thoughts and opinions are my own. 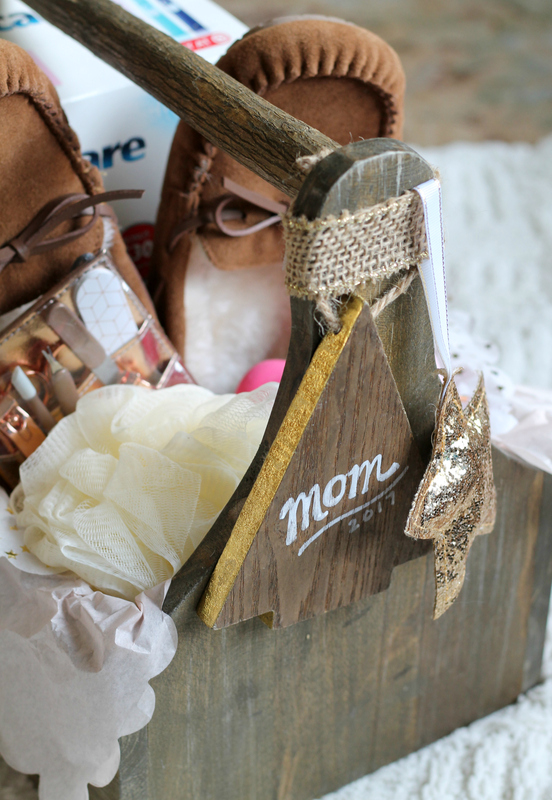 Keep scrolling to see how to create a Simple Spa Gift for Mom this holiday season. Hope you’re having an excellent day today! As you may know, I absolutely love the holiday season – especially gift giving. And I don’t want to toot my own horn or anything, but I’m preeeettttyyyy good at putting together gifts for my friends and family. My favorite gifts to give are personalized gifts that treat the recipient to some rest and relaxation, which is why I was so excited to share this Simple Spa Gift for Mom today. First things first, the contents. 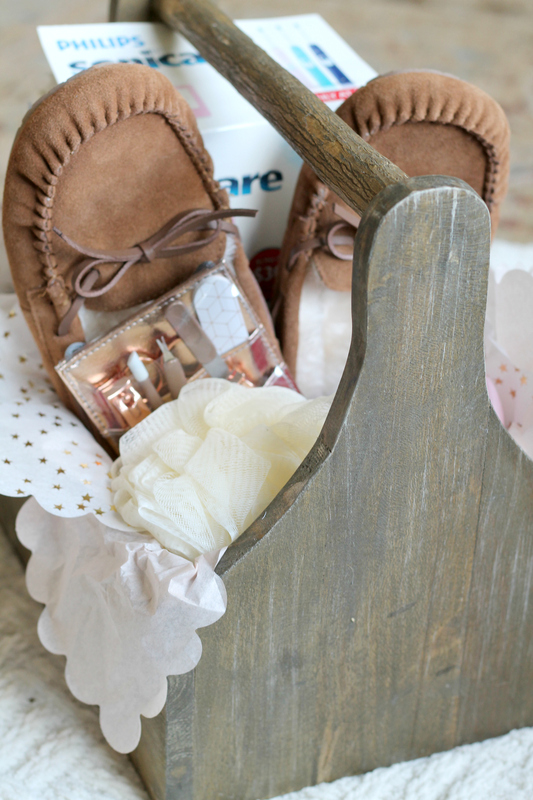 For this simple spa gift I wanted to incorporate items to pamper and comfort. Bath Bombs: Give your mom a few bath bombs so she can soak in the tub and get some much-deserved relaxation. I love gifting bath bombs, body wash, anything that will make your mom feel pampered and appreciated. Face Wipes: Throw in a pack of moisturizing facial wipes, perfect for wiping off the day’s makeup before settling in for a spa night. 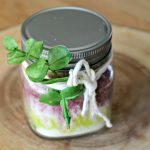 Lip Balm: Lip Balm is an inexpensive and fun thing to throw into a spa gift, who doesn’t love a great moisturizing lip balm? Nail Kit: Pick up a nail kit that has all of the essentials, cuticle remover, nail file, clippers, and more! 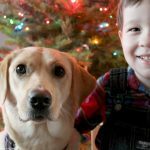 Try finding a kit that has everything together (they release a lot of these during the holiday season), and find a color that fits the theme of your personalized gift. Nail Color: My mom loves mauve shades of nail polish, so I thought we’d shake things up with this gorgeous muted pink. 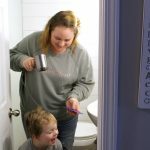 It’s the perfect neutral to use all year round, and it’s something different than she’s used to – just to shake things up a bit. Hand Lotion: Including things for an at-home manicure like the nail kit, nail polish, and hand lotion give a full experience within the gift. It will encourage an at-home spa night for mom to treat herself, so give her everything she needs in the gift to do just that. Beauty Sponge: I have been loving using beauty sponges lately to apply my foundation, so I thought I’d pick up one for mom to try too! Cozy Slippers: After mom gets her feet pampered with the nail kit, nail polish, and lotion, she’ll be ready to sink her feet into these billowy comfy slippers. I grabbed the softest ones I could find and kept with a neutral tone so they’re slippers she can wear all year round. Coffee Mug: While mom’s relaxing with her spa kit, I knew as a coffee lover she’d need something to sip her java out of. Enter this adorable “Morning Beautiful” mug. Perfect to get the positive vibes and confidence in every day. Face Mask: Face masks are a simple and inexpensive addition to this spa gift, you can get them in individual packets so you can throw in a few different kinds for mom to try. Loofah: Ya gotta gift a loofah with a spa gift! And the winning product? 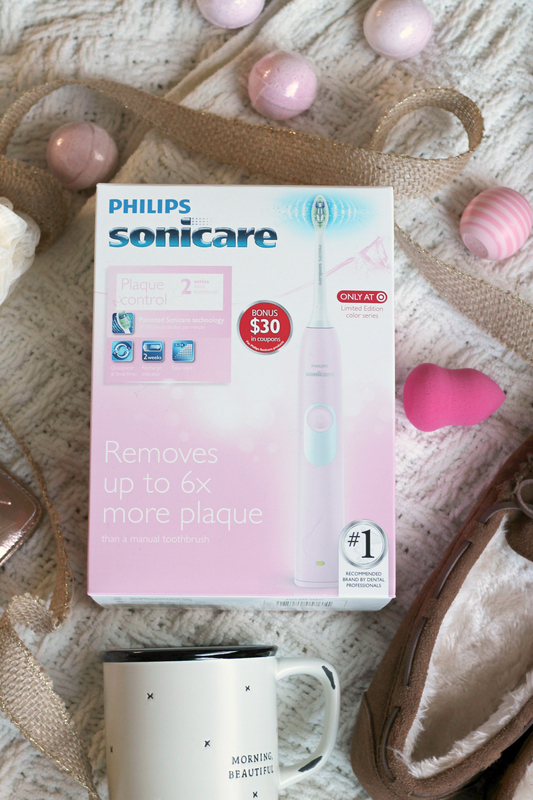 The Philips Sonicare 2 Series: This toothbrush has been a game-changer for me, and I love the gorgeous shade of pink. It’s available at Target stores and comes in (exclusive to Target!) Pastel Pink (the one I picked up), blue, steel, and aqua. The colors are gorgeous and diverse, so you can pick one up for everyone in the family this season! I knew this would be the staple item in the spa gift, so when planning what else to include, I picked items that would complement it. What is better than gifting the gift of confidence of a bright smile? I am so excited for my mom to try the Philips Sonicare 2 Series, it comes with everything she needs: Charger Base, Toothbrush, Batteries, Instruction manual, Travel Cap, Brush Head, Brush Head, and Charger Base. I love that this is something she can plug in her bathroom and use all year round to have a confident, bright smile. 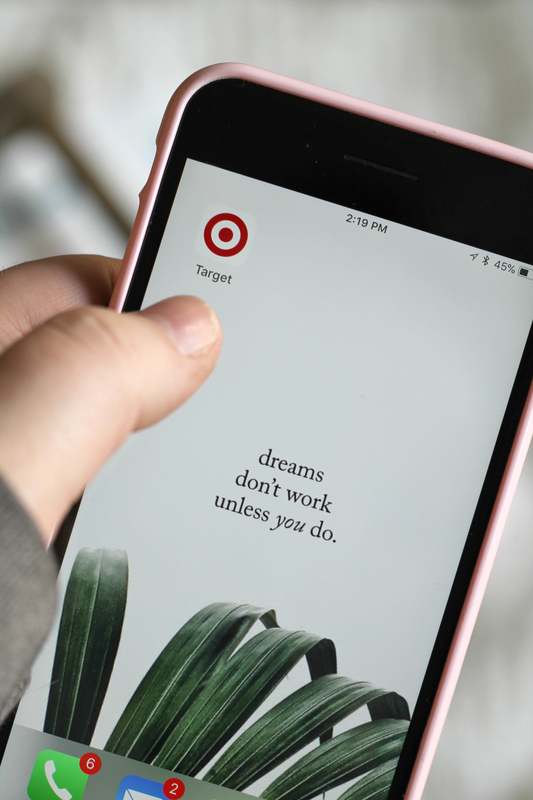 If you’ll be picking one up to gift this season, note that this Toothbrush will be automatically discounted on target.com during the Black Friday shopping period (no coupon code necessary). Click the image below to take you directly to the product link and make your holiday shopping one step easier! 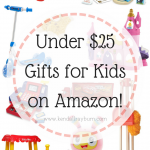 So keep that in mind so you can save some money on this awesome gift! Now onto the fun part – assembling the gift! The “basket”: When choosing a container for your gift, really think about something that your mom would love. I love choosing non-baskets so it’s something that can be used all year. 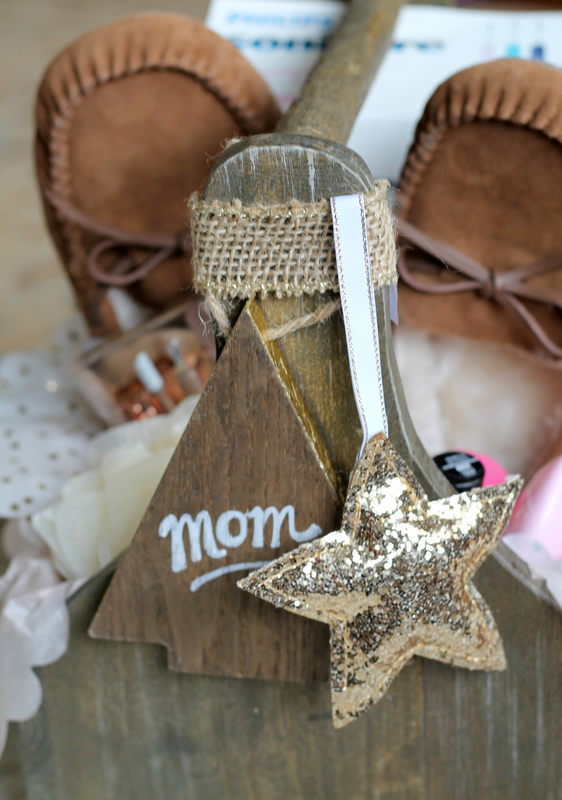 My mom loves all things vintage and antique – so I picked up this rustic wooden caddy. I know it’s something she’ll love, and something that she can repurpose once the gift contents are gone. Wrapping Elements: Since this is a holiday gift, it’s gotta have a little sparkle, right? 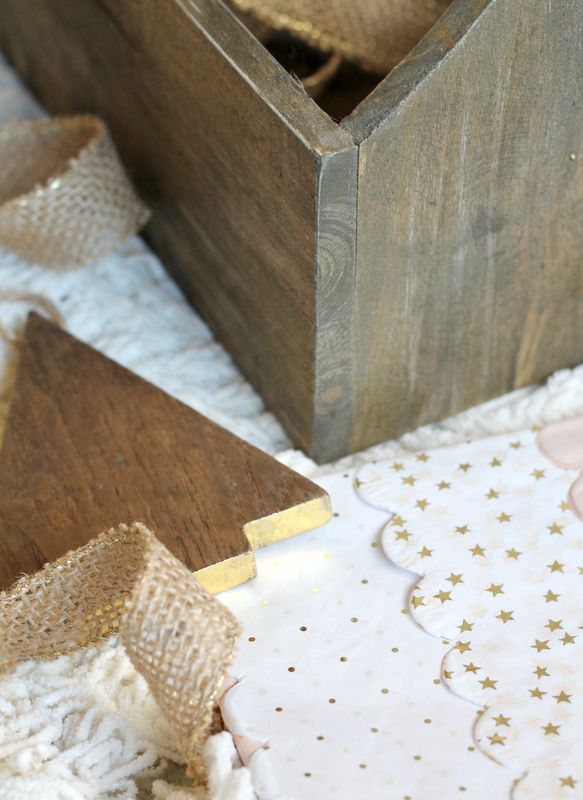 I found some gorgeous jute ribbon, metallic tissue paper, and two gold enhanced ornaments to use to beautifully wrap up this gift. 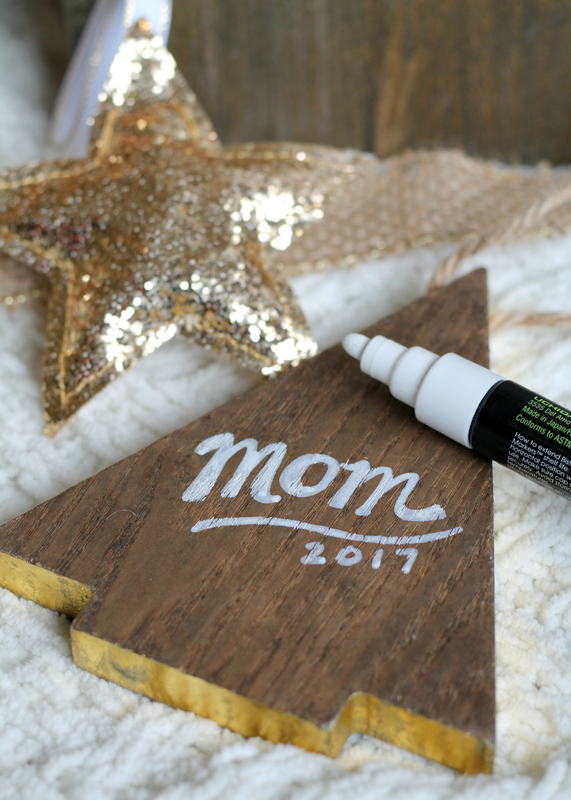 Ornaments are great tags for holiday gifts, and can be personalized using a permanent marker or chalk marker. 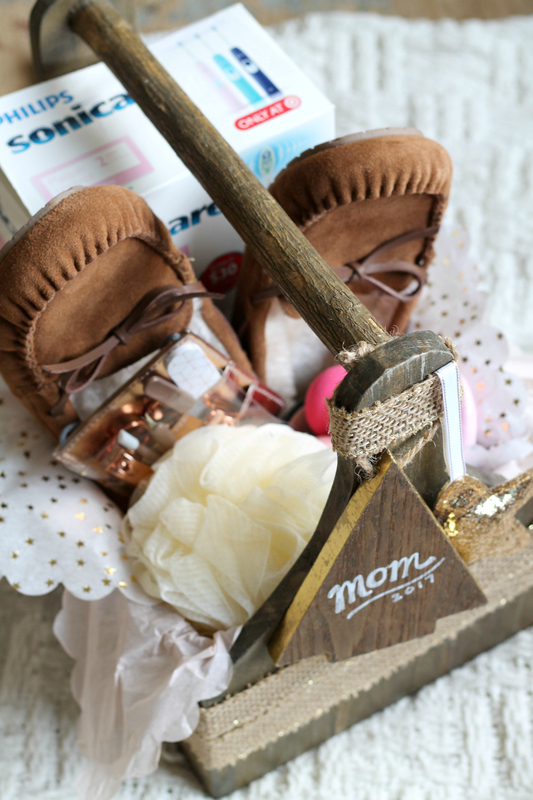 I filled the wooden caddy with layers of contrasting tissue paper to prep it for filling, I love the different textures the ribbon, caddy, and tissue paper bring to the gift. Filling the Gift: When filling your gift, put bigger items toward the back so you can layer in the smaller things. I put all of the smaller items like the nail polish, lip balm, etc into the coffee mug to save space. 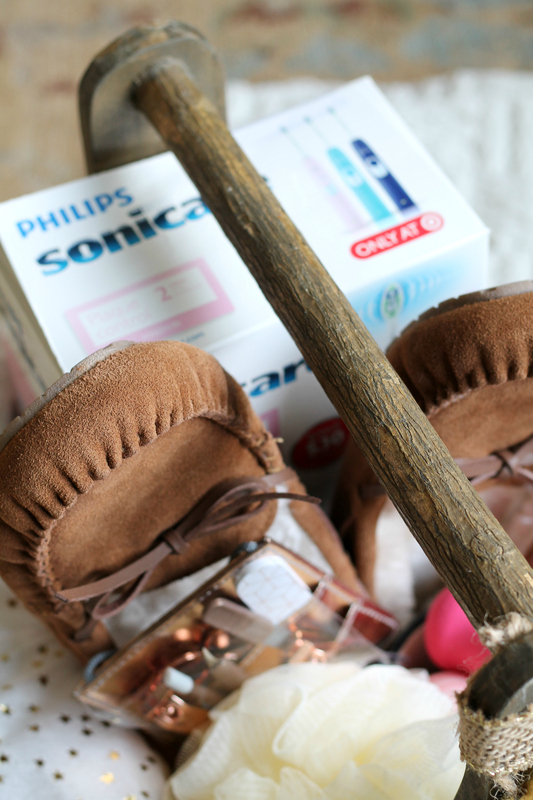 And then the Philips Sonicare 2 toothbrush front and center because what better way to highlight the main event? Plus, it makes it a gift within a gift, hooray! Adding On the Embellishments: When you’re done filling your gift, it’s time to put on the adorable tags! I used the ribbon to secure the tree and star ornament to the gift, and then used the remaining ribbon to dress up the wooden caddy a bit. Once your gift is all packaged up, it’s ready to gift! I am so pleased with how this turned out, and I just know it will be a gift my mom will really enjoy! 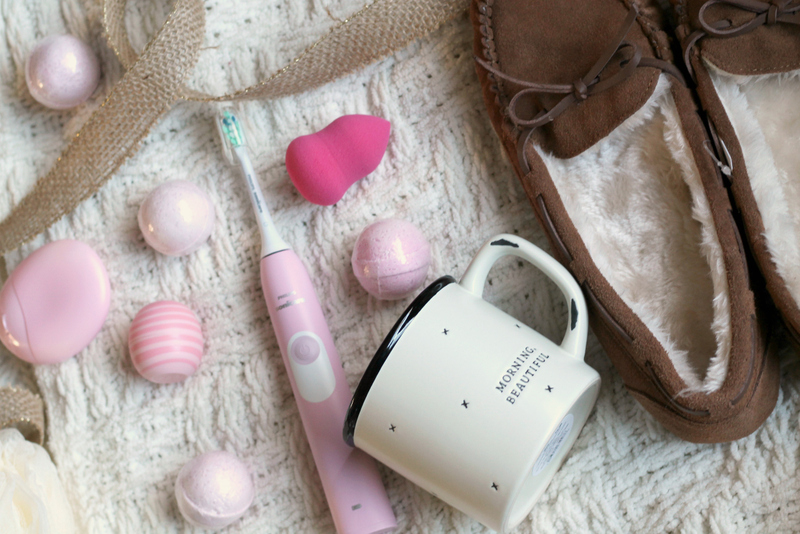 Everything I needed for this gift I picked up at Target and Target.com – I love that I could shop one place to get everything for this fun and simple spa gift for mom! My mom loves her family, her pets, crafts, gardening, and deserves a break. I can’t wait to gift this to her so she can get some must-needed relaxation this holiday, because she deserves it! She’s raised us all, and now that we’re out of the house, she deserves to enjoy that peace and quiet, right? If you’re planning on recreating this adorable and Simple Spa Gift for Mom, be sure to head on over to your local Target store, or you can shop Target.com to get everything you’ll need! 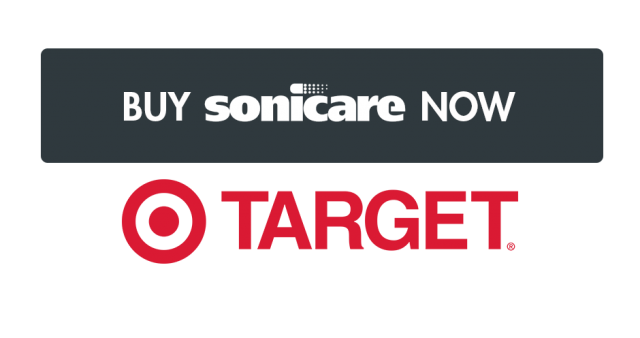 And don’t forget – this Philips Sonicare 2 Toothbrush will be automatically discounted on target.com during the Black Friday shopping period (no coupon code necessary). So be sure to shop the sales!